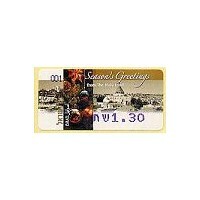 Amiel (12.12.2005) - Seasons Greetings from the Holy Land. Machine 001. First Day Cover (NIS 1.30).